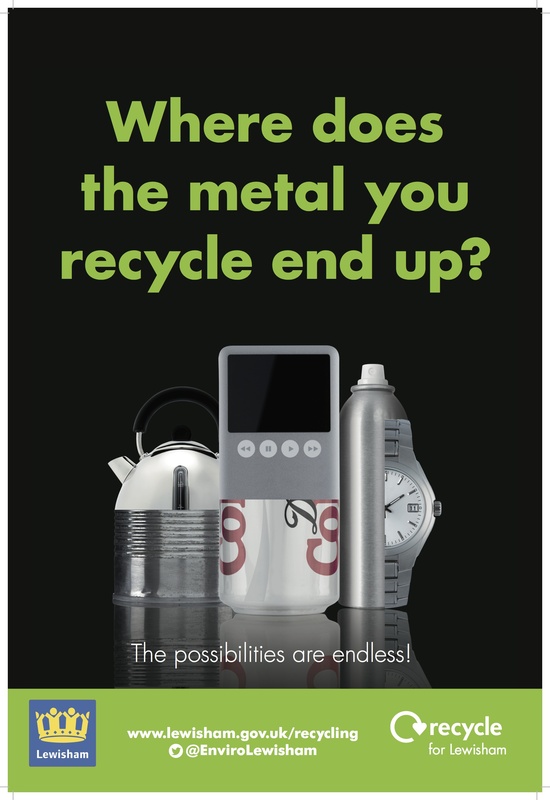 Today see’s the start of a brand new recycling campaign in the borough called Metal Matters which aims to drive up the recycling tonnages of tins and cans and prove that metal really does matter. Many residents may have already seen the new livery on the refuse and recycling trucks promoting the campaign (see images below). As well as all the livery on the trucks, JC Decaux signs will be appearing all across the borough and will be carrying the same images and messages. Your cans could end up as an iPod, an iron or a kettle? The message is a simple one; please use your recycling bins to recycle all of the tins and cans that you use including aerosols. This includes steel food cans that beans and soups normally come in right through to soft drink and beer cans. Many people may not be aware that tins and cans can be recycled or may think that just certain types of cans are acceptable which isn’t the case. Details of the types of cans and more information about the campaign will be arriving through your door with the latest edition of Lewisham Life. The leaflet demonstrates the versatility of steel and aluminium and shows some of the products that these items are made into. Did you know for example that the aluminium drink can is the most recycled drinks container on the planet? 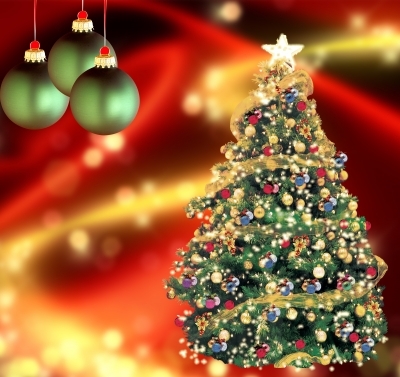 And also that every minute of every day, an average of 113,200 aluminium cans are recycled. So, why do we want you to recycle tins and cans? For one thing, recycling steel and aluminium cans helps to reduce waste. As well as that, it also saves energy, conserves natural resources, and cuts down on the amount of waste that goes to incineration. So what are we asking you to do? The next time your are out shopping and buying cans of food or drinks in aluminium or steel cans, please think about putting the empty can into your recycling bin when you have finished with them. If the cans have some residue of food in them, then please give them a quick rinse before putting them into your recycling bin. This will improve the quality of the recycling and also stop your bin from smelling. 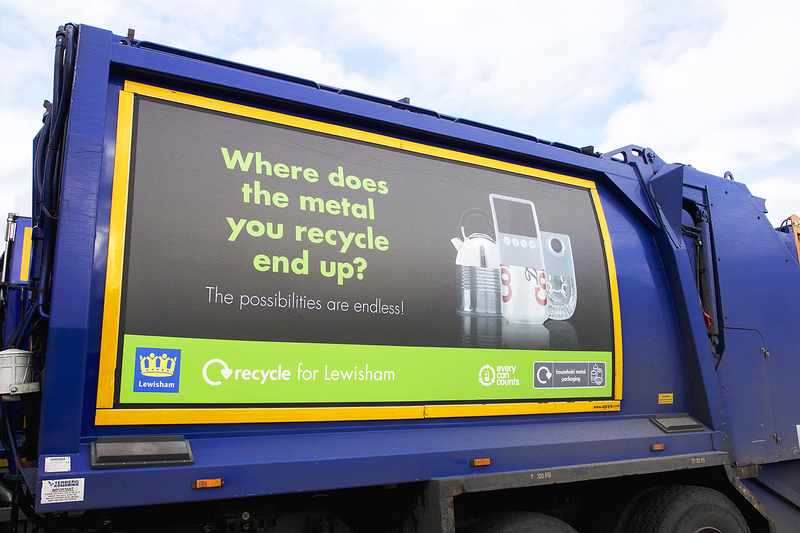 Members of the recycling team will be in Lewisham Shopping Centre on March 14th between 10am and 2pm talking to shoppers about the recycling of tins and cans in a bid to drive up the recycling rates of this material. If you have any questions or queries about the recycling of tins and cans or if you want to ask a question about recycling generally, please come over and say hello. We are hoping to work with a school to create some kind of sculpture on the day made from tins and cans which sounds very interesting and there may also be a special guest turning up? Hope to see you there. 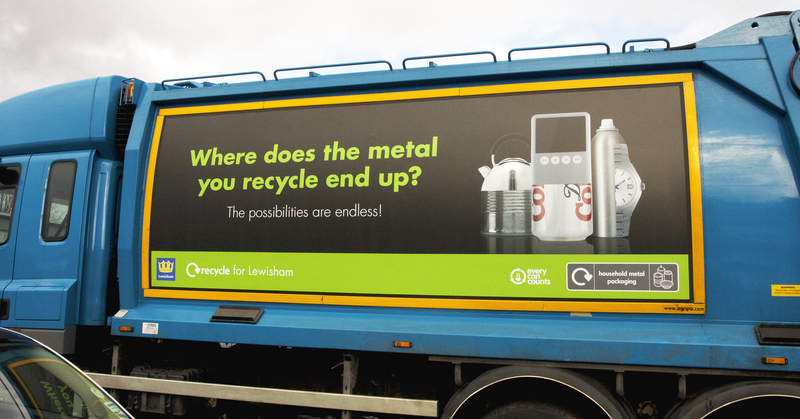 Categories: Uncategorized | Tags: Aluminium can recycling, Aluminium can recycling in Lewisham, Aluminium cans, Alupro, Alupro Lewisham, beer cans, coke cans, drinks cans, Food cans, Lewisham can recycling, Lewisham can recycling campaign, Metal Matters, Metal Matters 2014, Metal Matters Lewisham, Metal really does matter, Recycle all tins and cans in Lewisham, recycling beer cans, recycling campaigns in Lewisham, recycling cans, recycling drinks cans in Lewisham, recycling tins and cans, soft drinks cans, Steel can recycling, steel cans, The Tin Man, tin cans, tins and cans | Permalink.